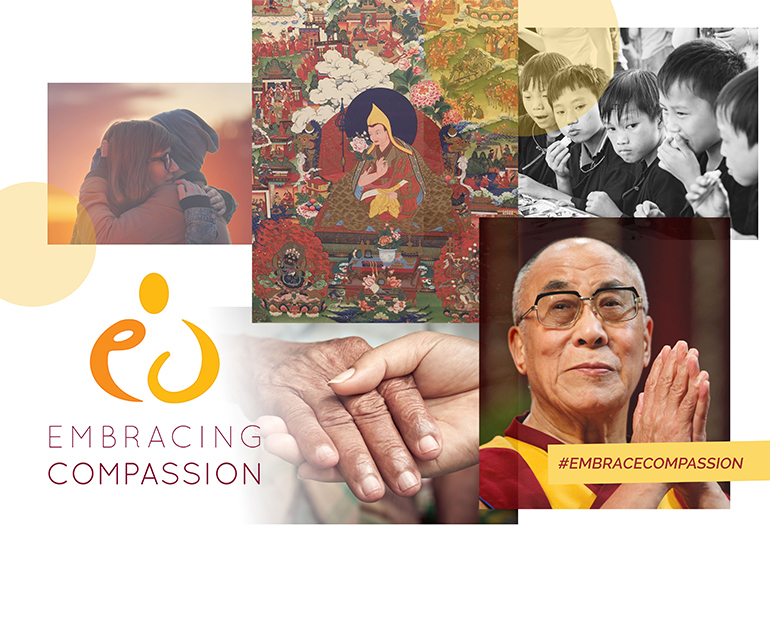 PUEBLO – Colorado State University-Pueblo is hosting the first public United States showing of the artwork included in the Embracing Compassion - Lives of the Dalai Lama exhibition in the Fine Arts Gallery through March 3. The exhibit will continue to travel across the U.S. and internationally. This unique series of 16 Thangkas paintings (commissioned by the current Dalai Lama) depicts the lineage of the Dalai Lamas in each of their incarnations, up to the Fourteenth, Dalai Lama, Tenzin Gyatso. The exhibition is free and open to the public. The Fine Arts Gallery is open from 10 a.m.-4:30 p.m. Monday through Friday in the Art/Music Building of the CSU-Pueblo campus. A lecture on Buddhism and a guided meditation will be held in the gallery beginning at 5 p.m. on Thursday, March 2. Visiting Experimental Psychologist Dr. Melissa J. Dolese, who studies meaning making and communication in art and the influence of artwork and other creative techniques on action, is collecting data for the Embracing Compassion organization (www.embracingcompassion.com) on the exhibit experience. This organization seeks to influence compassionate actions through viewing these traditional Tibetan artworks. According to Embracing Compassion, no such work of this scope on the Dalai Lama lineage existed, and Temba Chophel was excited at the idea of creating a great traditional work as was executed in the past. In response, His Holiness commissioned the work, which was completed in the summer of 2015.The thangkas, which depict a central figure surrounded by the events in the life of each Dalai Lama, capture the historical and spiritual events that marked each one’s life. They begin with incarnations that preceded the recognition of the Dalai Lamas, which include Tibet’s first kings, then each Dalai Lama. Three thangkas are reserved to illustrate the life of the 14th, present Dalai Lama, who is 81 years old. Each thangka was carefully researched for content, and Temba Chophel consulted lamas and scholars, notably Chato Rinpoche, then the Abbot of Namgyal Monastery, the Dalai Lama’s monastery, to insure the accuracy and details of each thangka. Temba Chophel passed away in 2007. His main disciple, Tenzin Norbu and his team, completed the series, which had all been etched, in a seamless manner.